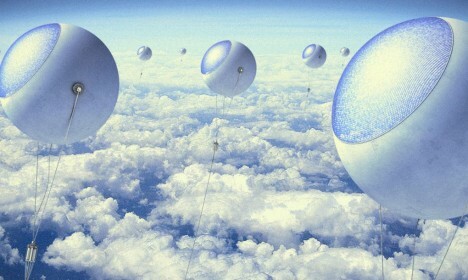 Optimized solar panels can only take energy capture so far, which is one of the reasons this company is trying to take power-harvesting airborne with a fleet of solar-gathering balloons. A solar sky form, says NextPV, could even move with the sun, producing clean energy around the clock (not by moving against the planet’s rotation, but perhaps someday – more below). The technologies in use for weather balloons and other similar aerial endeavors is already partially in place, but the means of moving the balloons and transmitting energy back down to Earth are still being researched and developed. 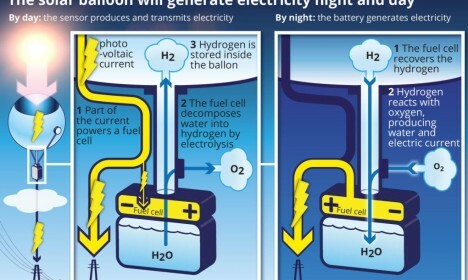 The current plan is to turn sunlight to electricity and produce hydrogen for use as above-the-ground fuel cells, engaging in the conversion processes at night. The group has teamed up with academics and researchers to solve the next steps of the problem, and optimize the system for efficiency and practicality. See more in Energy & Power or under Science. March, 2016.